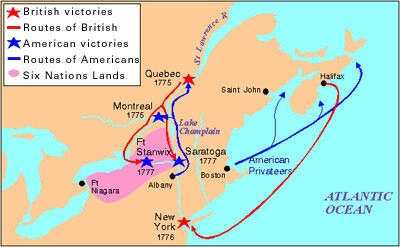 After the fall of Québec in 1759, an urgent appeal was sent to France for 4000 troops and food supplies. Not until Apr 19 did 5 merchant ships and a frigate leave Bordeaux with 400 troops and some supplies. Battle of Ste-Foy, fought during the SEVEN YEARS' WAR on the road to Ste-Foy, a village 8 km W of Québec. 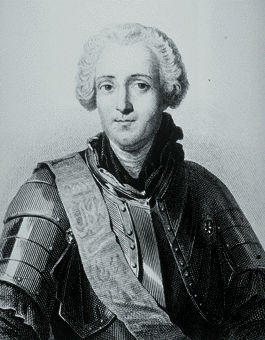 In late Apr 1760 François de LÉVIS and his French force of 5000 engaged 3900 British troops under Col James MURRAY outside the city walls, soundly defeating them. 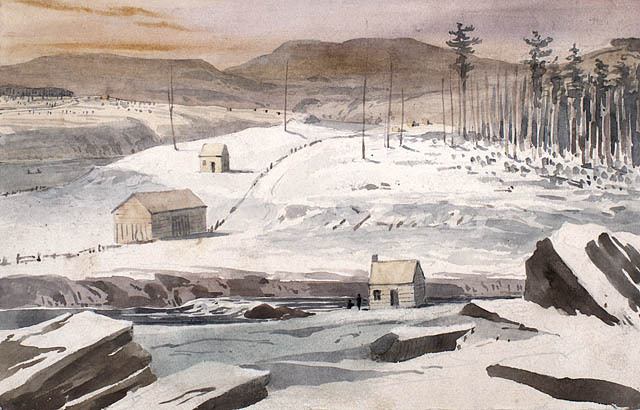 A band of Americans and pro-American Canadians living in Upper Canada, the Canadian Volunteers were a company-sized regiment that fought on the American side during the WAR OF 1812. 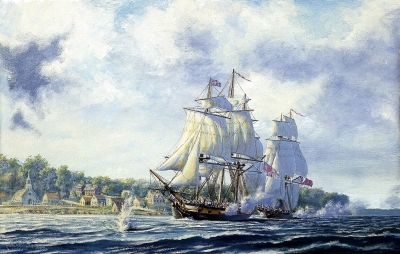 On 12 July, Hull crossed the Detroit River unopposed and occupied Sandwich (Windsor). 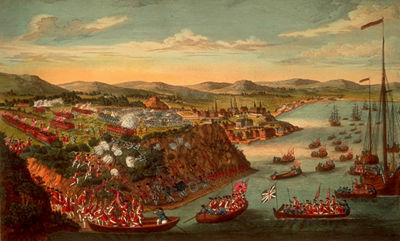 On 20 July, the general issued a bombastic proclamation to the Canadian militia to throw off their British shackles and embrace American liberty. 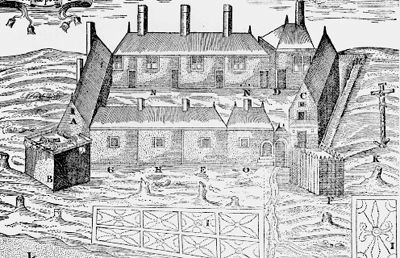 Reconnaissance revealed that Amherstburg was weakly defended. 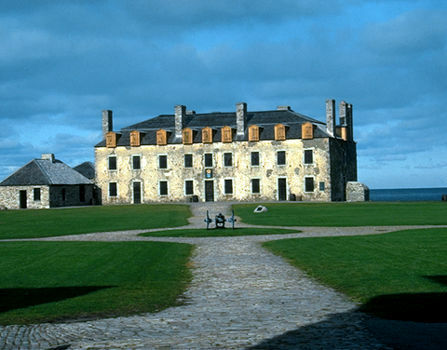 The capture of Fort Niagara on 18-19 December 1813 was a British victory over the US during the War of 1812. 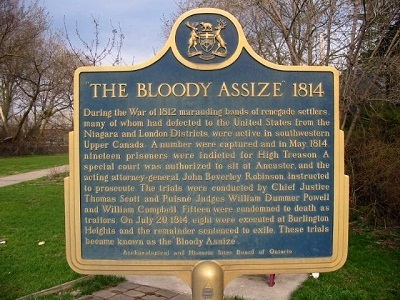 American troops had occupied Fort George and the village of Niagara (now Niagara-on-the-Lake) in Upper Canada since May 1813. 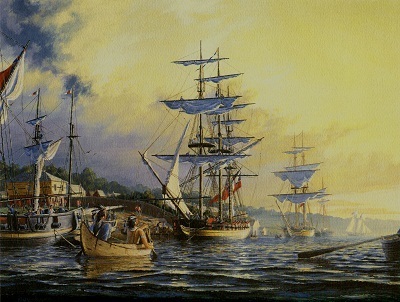 The two schooners of the United States Navy, the Tigress and Scorpion, were constructed during the War of 1812 at Erie, Pennsylvania, in time to take part in naval actions in the Battle of Lake Erie on 10 September 1813.